The past couple of months could be labeled as ‘the summer of really old stuff’ for us. Whether it’s looking at galaxies or nebulae through Prineville Reservoir’s telescope that are thousands of light years away or hiking among rocks that are even older, we’ve seen things that are downright ancient! Even being the history and science buffs we are, some of what we’ve seen has been hard to wrap our minds around. 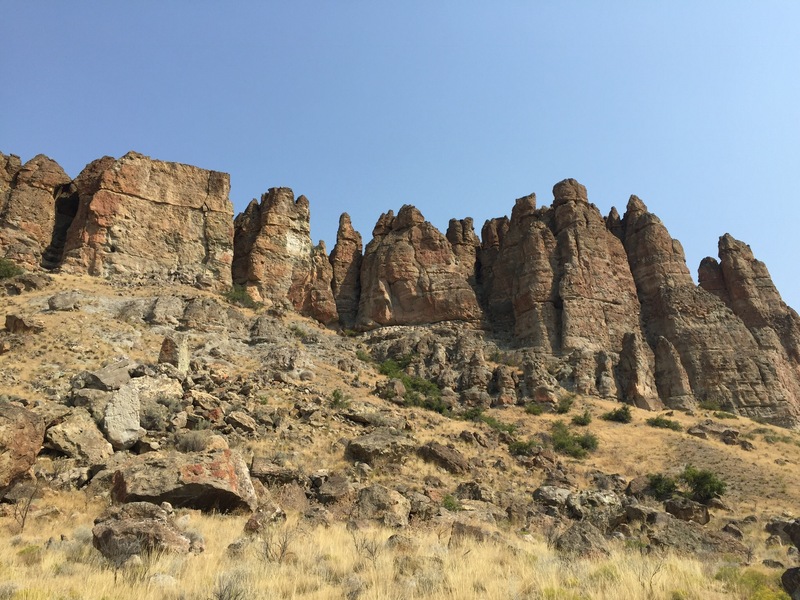 One place in central Oregon that examines this prehistoric strata is John Day Fossil Beds National Monument. Spread out over a wide portion of the area in three locations, this park is home to fossils that date back 40 million years! It also is fortunate to have some of the most stunning scenery in the state. 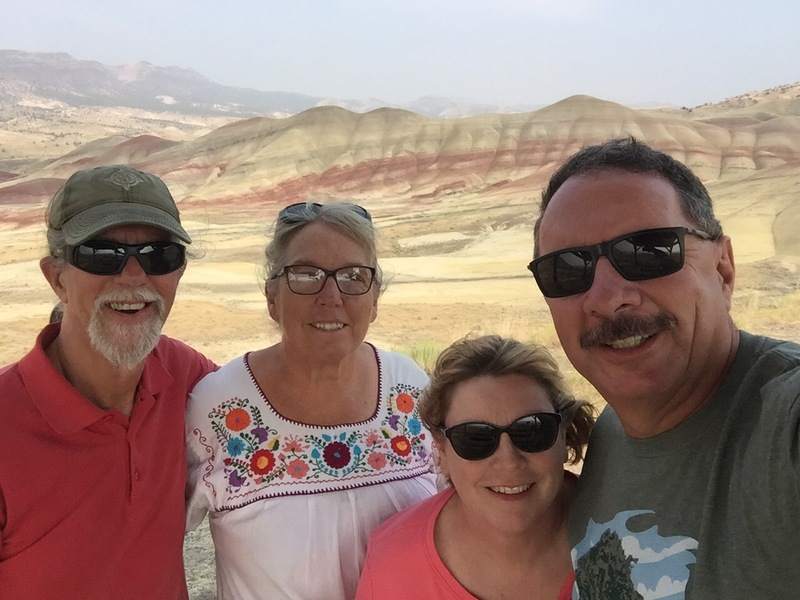 During our time in Prineville, we made three separate visits to John Day Fossil Beds. 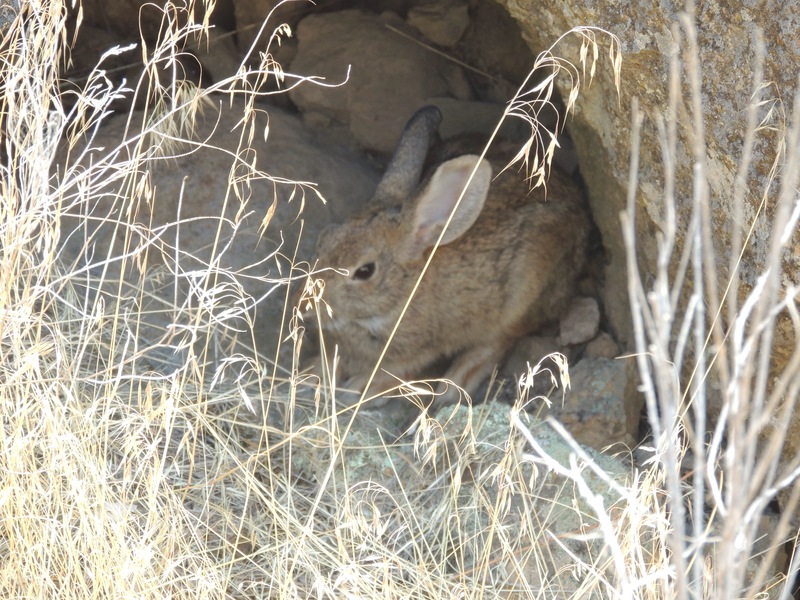 Our first two were to the Sheep Rock and the Painted Hills units. One of those visits was with our friends Bob and Kathrun, on our way home from our day trip to Kam Wah Chung. Our last visit to the park this past week was to the Clarno Unit, so we could get out to see some actual fossils embedded in the exposed rocks. The Sheep Rock unit is where the Thomas Condon Visitor Center is located. This was our first stop. Mr. Condon was a minister/scientist in the 1800’s who believed that the church had nothing to fear from the concept of evolution, as it was simply God’s way of working. 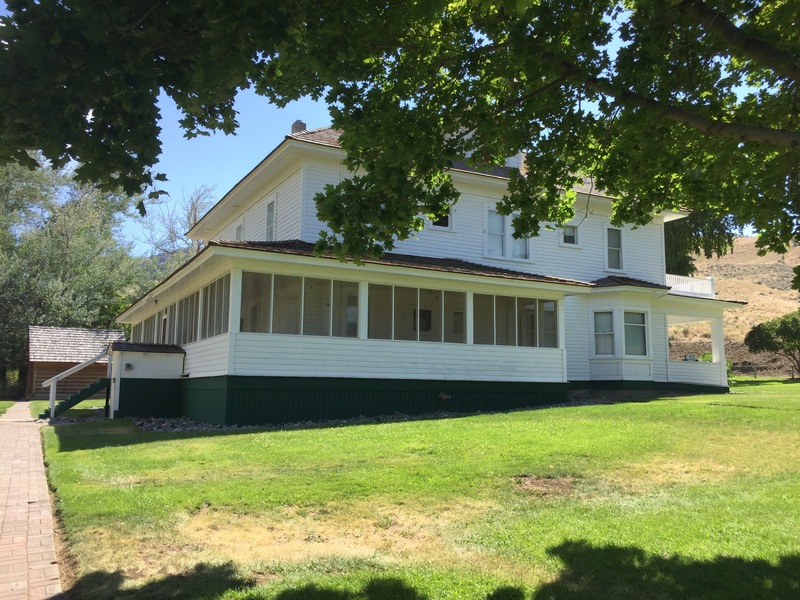 During his time at The Dalles, Oregon, he was intrigued by the fossils that gold miners would bring him. That led him to Oregon’s interior and the area surrounding John Day. The visitor center named after him is outstanding! The first thing we did upon arrival was to get our Junior Ranger books. Looking through them, we knew this was going to be a difficult subject to grasp, as it spans so many millions of years. We started through the gallery, which goes from the oldest fossils to the newest. The floor is painted different colors to show what era or age you are in, which we found helpful. 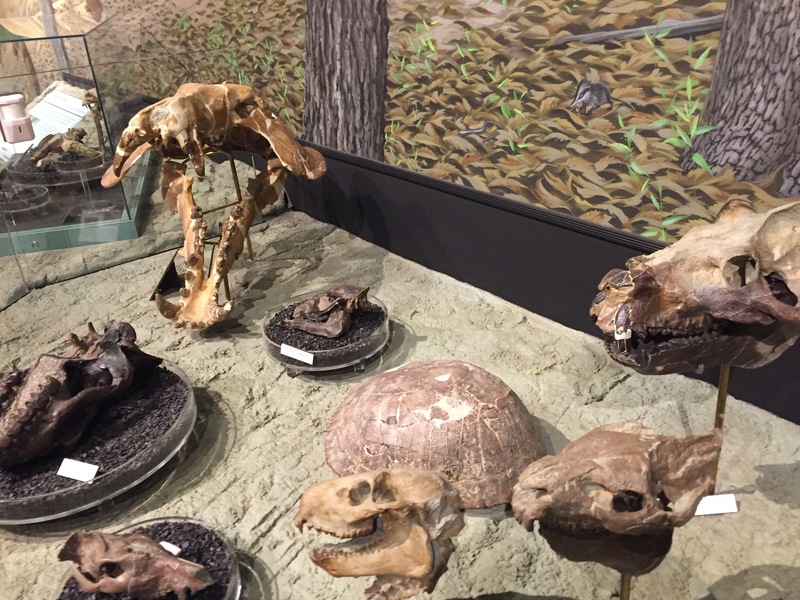 To fully understand what happened to make this area such a treasure trove of fossils, you have to first know that this land was once the coastal area of Oregon. The Cascade Mountains had yet to rise to the west, and the area around John Day was itself a volcanic region. In fact, it was tropical, featuring versions of many of the creatures found in our current southern climates such as: giraffes, crocodiles, and hippopotamus. Each volcanic eruption would bury more and more plants and animals, building layer upon layer in giant time capsules. Over time, the volcanoes became extinct and the volcanic activity moved west. As the current Cascades rose, the moisture from the ocean was somewhat cut off from the John Day region and the area became the high desert it is today. Wind, rivers and rain eventually eroded the land, creating the massive valleys in the area and exposing millions of years worth of fossils, all stacked up like a giant birthday cake. The lower the paleontologists looked on the hills, the older the fossils were! As we worked through the Junior Ranger book, we began to understand how large of an area the fossil beds covered. One of the ages actually extended all the way down to Prineville over 100 miles away, which we know is part of an extinct volcano. The other thing we found extremely interesting was the timeline of the modern day horse. They began as very small animals, evolving over time to nearly the size of today’s equines. They were prevalent in both North America and Eurasia, but became extinct here around 11,000 years ago. When the Spanish explorers came here in the late 1400’s, they unknowingly reintroduced them to the continent. We completed the books and were sworn in as… Senior Rangers! Wait a minute….what’s up with that??? Must be because my head was too big for the hat! Once we left the visitor center, we explored the surrounding Sheep Rock area a bit. 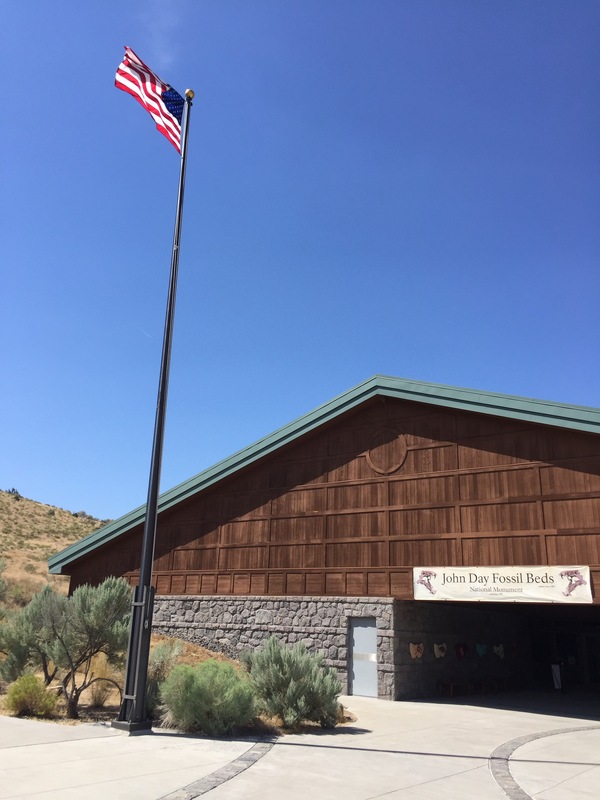 The Cant Ranch is just up the road, and is an interpretive site run by the National Park Service. It was closed the day we were there, so we walked around the grounds. How’s that for a view from your back porch? Just south of the visitor center is Picture Gorge. Named after petroglyphs high on the gorge walls, this cut through the hills was created by the John Day River. We drove through this with Bob and Kat, and it’s a great example of the layering in the area. On our visit to the Clarno Unit, we took the 1/4 mile Fossil Trail and examined the plant fossils embedded in the rock. The hills across the road are all that’s left of the ancient volcano that created the palisades at Clarno. Imagine that someday giants like Mt. Hood will be whittled down to this size. Also note the evidence of the recent wildfires on the hills. We saw miles and miles of charred land. 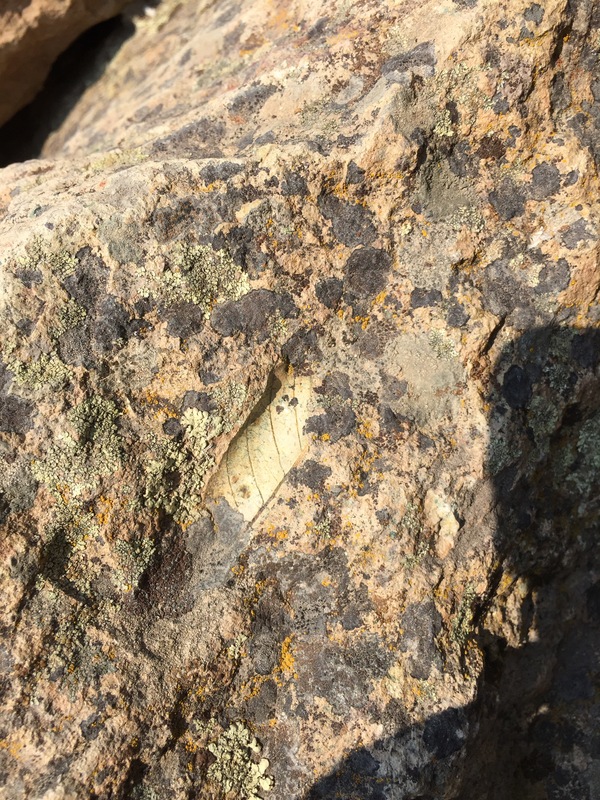 We saw fossilized leaves and sticks…. …and a rabbit. Good thing the volcano isn’t active, Mr. Bunny, or you could end up a fossil! With us examining every book and cranny of the rocks on the trail, that quarter mile took a long time! The palesaides faced south, so the sun reflected off of them and the temperatures soared quickly. We decided to save the other trails for another time. The other place we visited, both with Bob and Kat and by ourselves, was the Painted Hills. 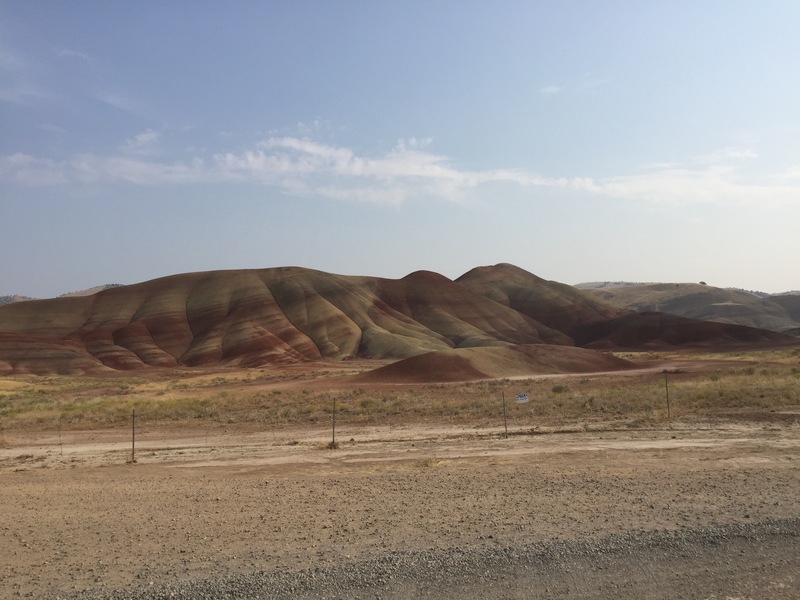 These hills were actually part of an ancient riverbed, with the alternating colors coming from different climactic periods. As forces beneath the surface uplifted the soil, erosion exposed the layers we see today. 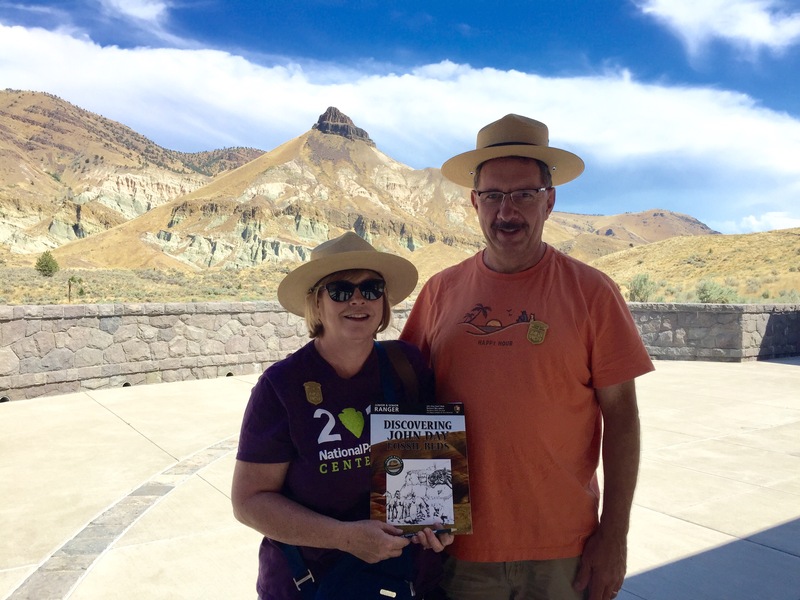 A Closer Look at John Day Fossil Beds National Monument and other cool stuff by shopping our exploRVistas Amazon link HERE. Incredible how old those fossils are, you are right it is hard to wrap your head around something that old…. Exactly. That (senior) ranger book really forced us to grasp it…otherwise we might have glanced over it and not got it. It’s actually pretty cool! What a fascinating place. It reminds me so much of the Royal Tyrell Museum at Drumheller Alberta. The landscape looks similar as well. We will have to check that out, Sue! I think you would enjoy it very much. John Day Country is one of Oregon’s greatest treasures, I think. So many interesting landscapes involve that time period, Miocene stuff fascinates me completely. Made for some of the craziest soil mapping I have ever encountered, however! Crazy. 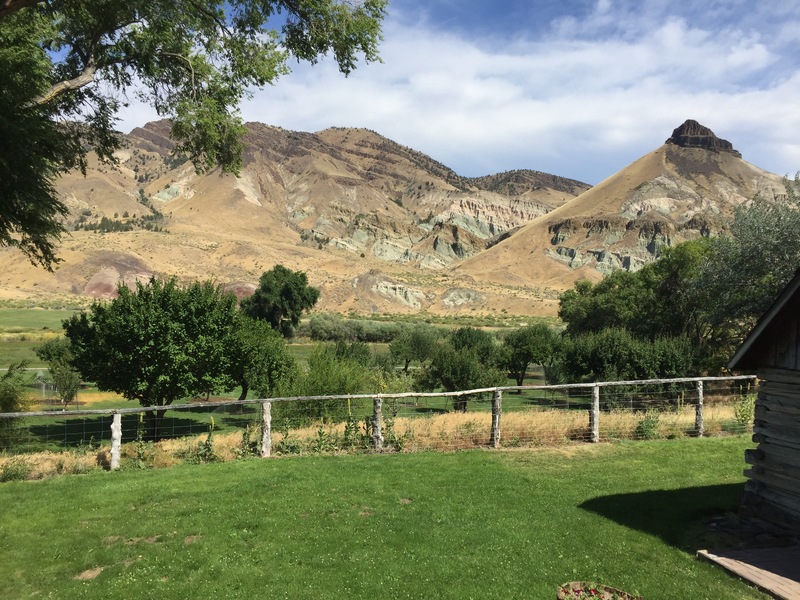 Nice reading about your time at John Day Fossil Beds. This monument looks like my kind of place. 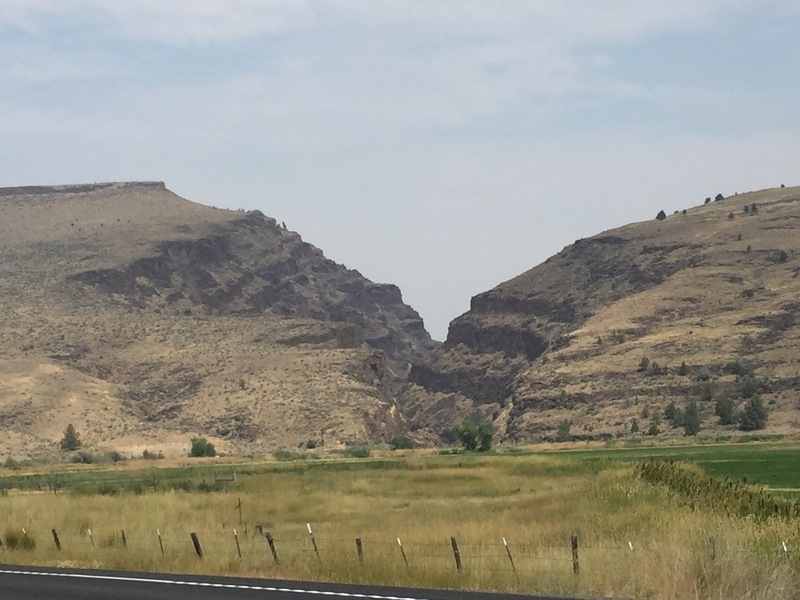 I saw the highway signs pointing “this way for John Day” while staying outside Boise, Oregon, in July. Now I know the drive there is worth the effort. Thanks for sharing. Hope you are able to make it, Linda! Thanks for taking us to the Clarno Unit since that is the part we haven’t gotten to visit. Finding the fossils in their natural spots is way cool. They don’t point out every fossil…so you really have to look, Pam! It’s definitely a fun place! That’s awesome that you got your Senior Rangere badges!! Love that and love the picture. The whole experience looked really cool. It is amazing how old the fossils are. Thanks for sharing. Makes me want to visit there. One cool thing is knowing how much is still buried beneath those mountains, Tracy! Well there’s another spot to add to our list. Thanks for the tour and safe travels! Safe travels to you also, Steve and Dianne! 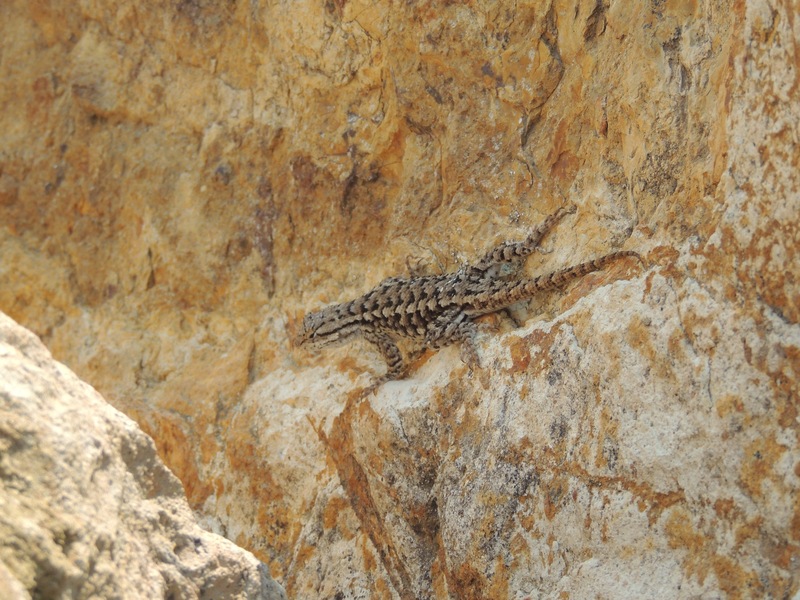 That’s a nice looking lizard. Congrats on your Junior Ranger badges! I love that program, it’s very educational. Congrats on becoming Sr. Rangers! That looks like a really fun place to roam around and hike.